Wedoble are fast becoming one of the most popular brands we carry, and in their traditional, yet effortlessly stylish designs it's very easy to see why. 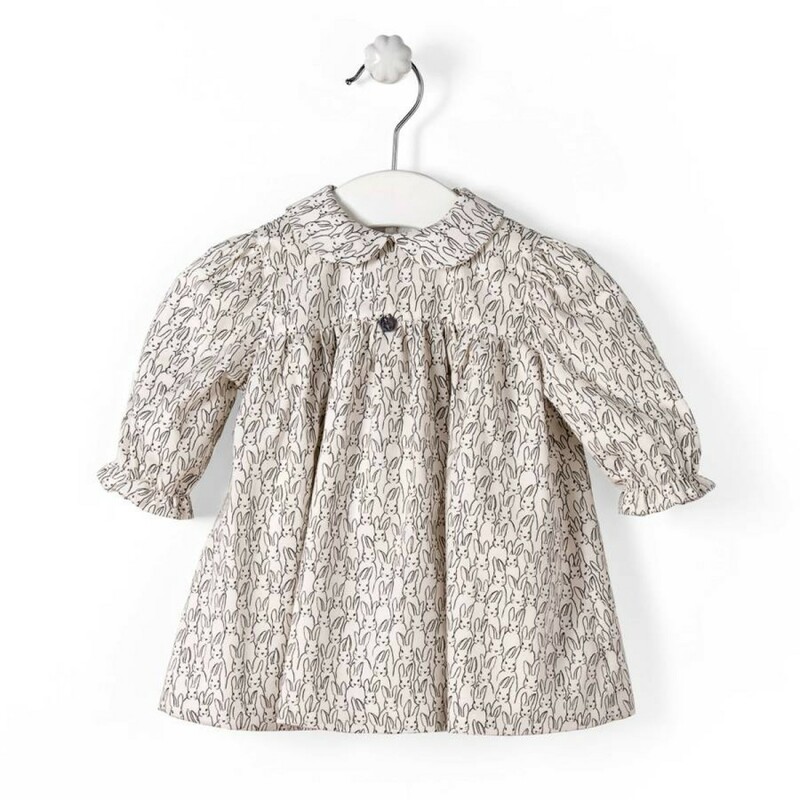 This beautiful winter dress, with a stunning allover bunny design, a peter pan collar and elasticated cuffs, is a piece in which your little one will look amazing all season long. Smart, unusual and exceptionally cute, it's an outfit you can put her in for any occasion. It's a piece that's effortlessly chic but very wearable - the 100% cotton materials will be soft and comfortable on her skin. The quirky bunny design makes for a unique and very elegant piece, in which she'll look adorable. It's a really charming choice that you can dress casual, or style up for a special event.